An air quality index is your guide to how clean the air that you are breathing is and government agencies use this number to guide the general public on what levels of pollution are present. The higher the AQI reading the greater the prospects of people experiencing adverse health effects, which is why it is a good idea to understand how the index is put together and what it means. Here are some points about the Air Quality Index (AQI) and how it is calculated. Local air quality is something that is very important to every one of us in that area as the quality of the air that you are breathing in is going to have a direct impact on how you live and your health profile. The reason for monitoring air pollution and producing an AQI figure for the area is that the quality of the air can change greatly even from hour to hour, so the information can give you a clear idea of what conditions are like and whether you might need to take action to protect your health. How the AQI is Calculated? The AQI is calculated to monitor four main air pollutants as defined by the Clean Air Act. The EPA has defined national air quality standards which are aimed at protecting public health and the air pollutants that it measures in order to produce an AQI number are carbon monoxide, sulfur dioxide, ground-level ozone, and particle pollution. An AQI number that is at or below 100 is saying that the air quality is between good (0-50) and moderate (50-100). When the reading goes beyond this 100 barrier, the level of health risk intensifies in line with the higher number. A reading of 101-150 would mean that the air quality is unhealthy for sensitive groups such as people with asthma, and the index can measure air quality right up to a number of 500. As you might expect, a reading between 301-500 would signify that the air quality is considered hazardous for everyone. There is a corresponding color scheme that is used alongside the numerical rating and you may see the AQI expressed in this way. If you are seeing a green or yellow rating, that is signifying that the air quality is within the 0-100 range. Orange is the next color up and that corresponds with an AQI rating of 101-150. Any AQI reading that is red (151-200), purple (201-300) or maroon (301-500) will be telling you that the air quality is unhealthy, very unhealthy, or hazardous. This is a national standard of reporting so the same index will be used to provide local air quality information wherever you are in the country. It should be easy to access AQI data for your area and there are various options for getting the information online or sent to you on a daily basis. You can access the EPA website for the link to the index and you should also be able to view a national map which is color coded so you can quickly see what the air quality is like in your general area. You should also be able to find an email service that sends the AQI data direct to your inbox. Many local TV and radio stations include air quality information with their weather reporting, so you should be able to get all the details you need for the day ahead in one report. 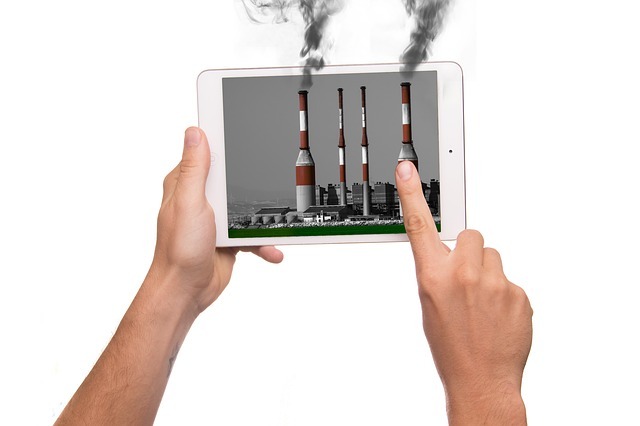 As there are various factors that can influence the index reading it is often the case that the levels of air pollution can rise and fall at certain times of the day. It tends to happen that ozone levels reach peak levels in the afternoon and early evening, and levels of carbon monoxide are likely to be higher at peak rush hour times in the morning and evening. Particle pollution has the potential to remain at high levels throughout the day, especially if you are in close proximity to a busy highway being used by thousands of commuters. It is not that difficult to take some positive steps that will help reduce your exposure to poor air quality and you can use the AQI index to map out your activities for the day. If you are going to be working outdoors for a part of the day it makes sense to pick a time to do this work when the air quality is likely to be at its best. The same guide applies to any outdoor activity like running or even taking a walk in the park. If you have any issues with your breathing it becomes even more essential to check the air quality index and either reduce your activity level accordingly or at least work out the best time of the day to get your run in. It should be understood that ozone affects your lungs and respiratory system in a number of different ways. You might experience regular coughing, a sore throat, or chest pain when taking a deep breath. If you suffer from asthma, poor air quality will most likely worsen your symptoms. Repeated short-term ozone could even lead to permanent lung damage in children and a declining lung function if you are an adult. It should be said that AQI readings above 200 don’t occur that often and it is very rare to see a rating exceed 300. It stands to reason that larger cities will have higher AQI numbers as these densely populated urban areas have more opportunities to create more air pollution. If you live in a big city or close to a heavily industrialized area you can expect to be exposed to poorer air quality than if you live in a more rural location. Make sure you check the AQI index for your neighborhood so that you know how easy it will be to breathe throughout the day.